Ash Pit Road Campsite Rerewhakaaitu , Bay of Plenty - Probably one of the most peaceful, quiet, remote and beautiful campsite you will stay at during your trip to North Island. Pass Rorotura, head to Te Puke on road #5 then road #30 to then take a left onto Lake Rerewhakaaitu. At the end of the road, turn right and drive to the sign Ash Pit Road Campsite. For $8 per night per adult, you'll be camping on the shores of the lake. Make sure to bring your binocular to watch water birds! Go to the Whakarewarewa Maori village for the 12pm visit. 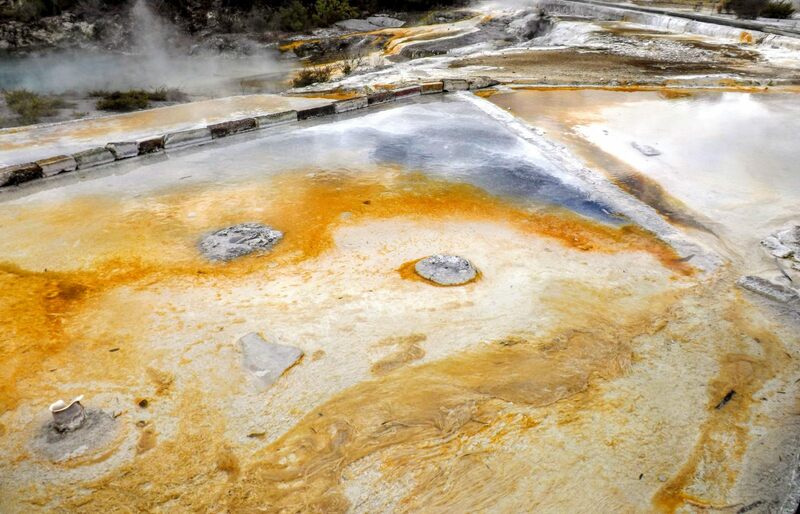 You get to see the geysers, geo thermal pods, mud pods and te living Maori Tribe Village. 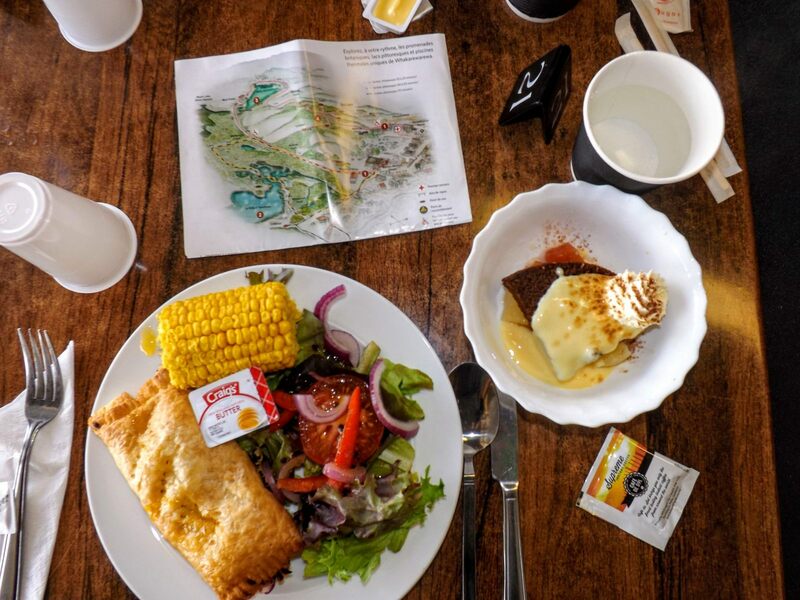 Buy the Whakarewarewa Hangi Pie Experience , it costs $107 for two and at 1pm after the visit you get to eat their traditional lunch at the restaurant. The pie is deliciously cooked in the steamed cooker you will be taught about during the visit. The meal includes a chicken pie with veggies, salad and corn, a steam pudding with fruits. custard and whipped cream for dessert and free coffee or tea. At 2pm, enjoy a 30-minute show with Maori, dances, songs, haka. They also invite you to learn a bit of their culture making you dance and repeat after them! 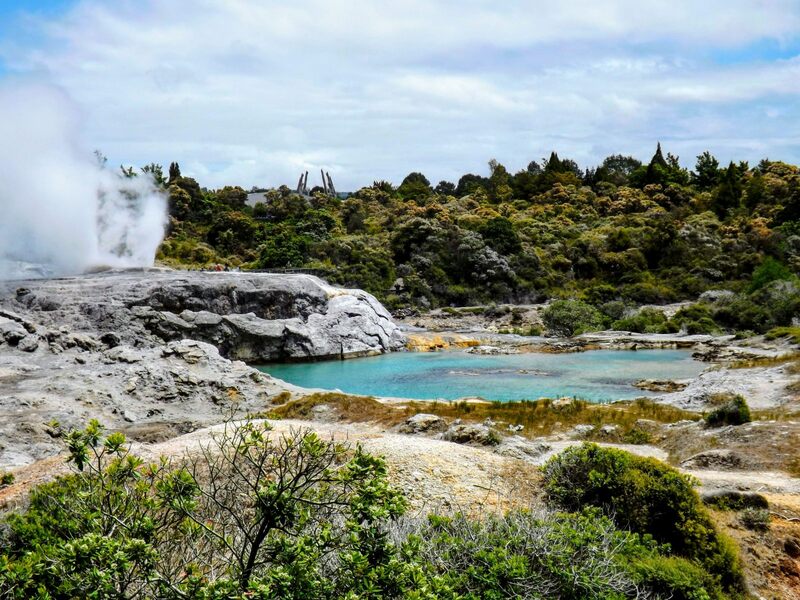 After the tour, you're free to stick around and visit their retail shops, get yourself a Maori tattoo and walk around the geysers. 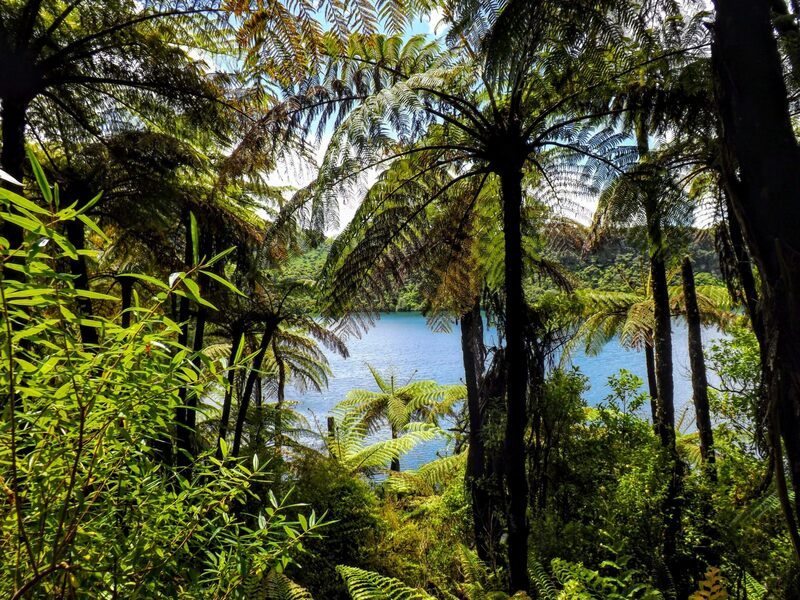 From Rotorura, pass by Lake Tikitapu (you must stop for a picture!) and carry on for another mile or two. On your right is the entrance to Tarawera Trail. There are several trails with different walking distance depending how much time you have. We did Oneroa Lookout (8kms, 2 hours - one way). There are plenty of stops, maps and toilet as you go. At the finish point, there is also Hot Water Beach DOC Campsite (you need to pre-book and it is only accessible by foot, 7 to 8h trek). 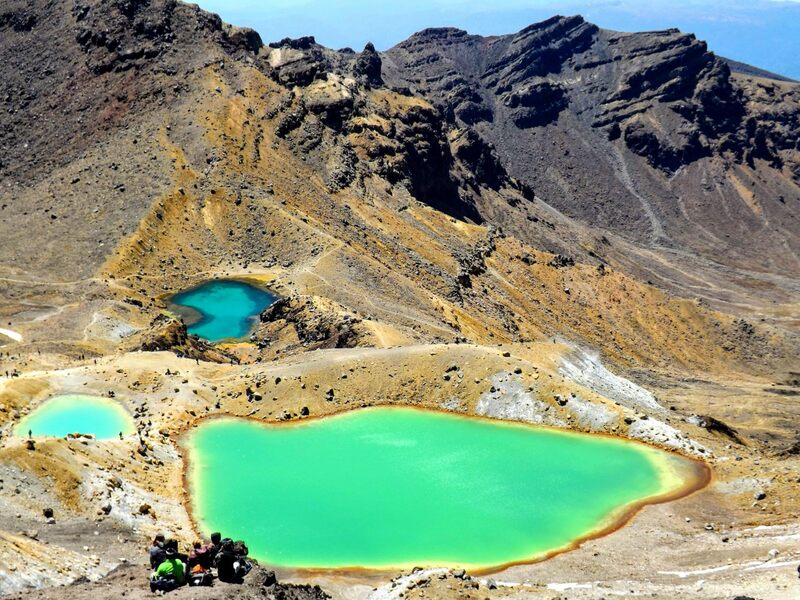 Taupo is probably going to be the most urban town you'll encounter during your trip. And although we know you're enjoying very much the "into the wild" life, a good day for laundry, hot shower and grocery shopping is not a no no. Near the I-site, you will get the library for FREE wifi and documentation, public toilets and hot showers ($2 for 4 minutes, yes 4 minutes!) They can lend you towels as well if you wish. Watch out, it closes around 4pm! Now laundry time! There is one laundromat located few minutes from the I-site, but before rushing there, read carefully (so that you don't do the mistake we did!). 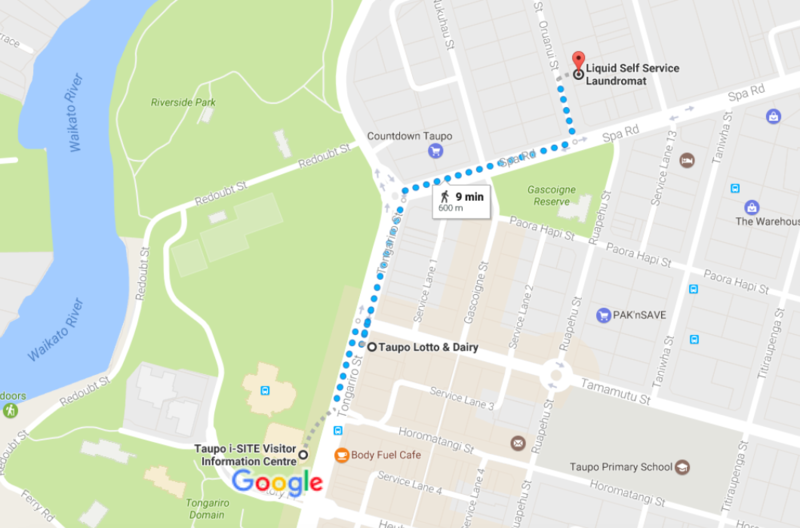 From I-site, go to Lotto & Dairy Taupo to purchase a key for the washing machine (it costs $3 and can be used anywhere in NZ) then top it up with money to use for the laundry. It depends on the locations, but roughly a washing machine is $4 and dryer is $3. 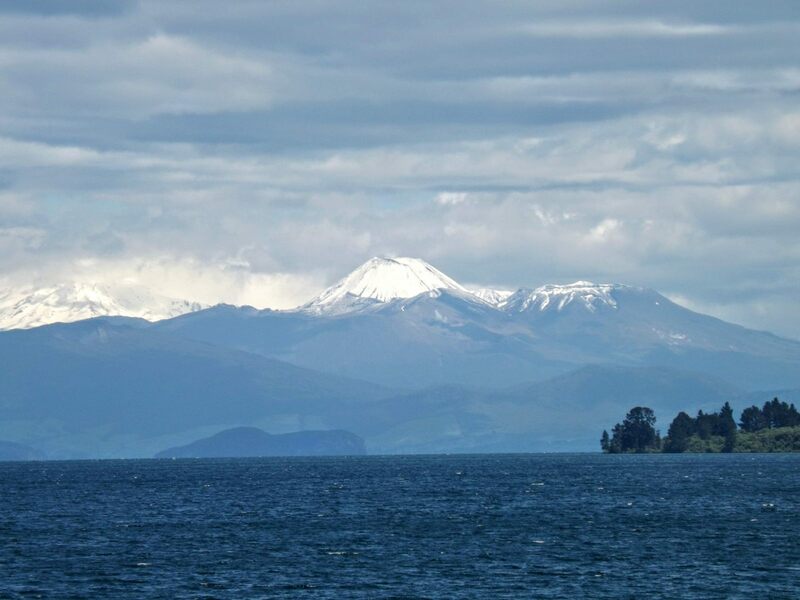 After all your duties done, we suggest you enjoy your lunch with a view by Great Lake Taupo. You can also rent bikesfor the day or by hour to cycle around the lake. On Saturdays, there's a farm marketdowntown to buy food, drinks and souvenirs from the area. After a morning duty in Taupo, time to explore some more wilderness. Good news, there is a huge waterfall nearby. 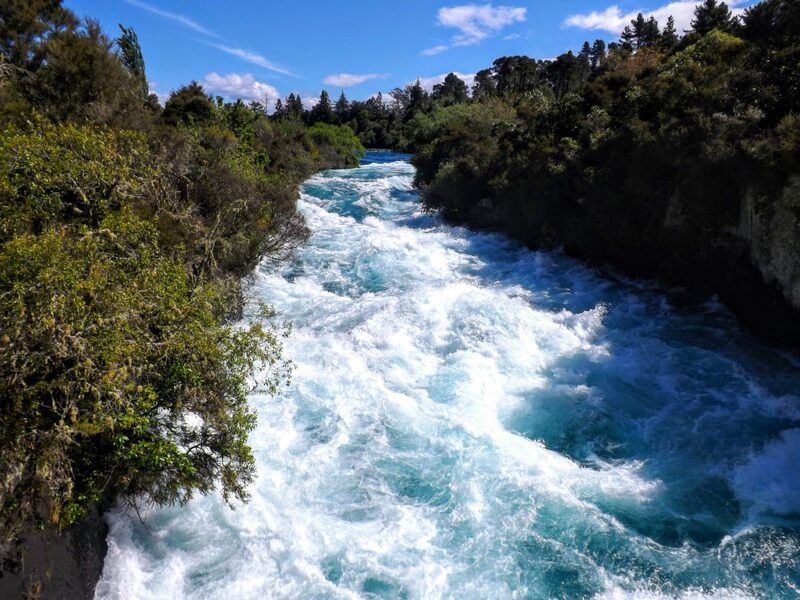 Jump on your van and drive a few miles up towards Huka Falls. You can either do the one-hour trail or drive directly to the final point. We highly recommend the trail since you will go through beautiful colours of nature. If you like hiking and speechless views throughout the whole trek, you're in for the best day of your life! Be prepared - this day requires a bit of preparation before hand. Firstly, head to Turangi I-site to book your shuttle that will pick you up at finish and bring you to the start of the trail. It costs $15 per person. The trail takes about 7 to 8 hours so we advise you start early. Some don't have all day so start the hike at 6AM however it may be very windy and cold at this time of the day, which is why we advise you start at 8:15, which gives you plenty of time to wake up, have breakfast and drive to Ketetahi road (finish point of the trail), about 45 minutes from Urchin campsite . We recommend Backyard Tours for booking your shuttle. They do both ways if you do not have a car or a van. If you do, then only book one way with them. At the starting point they will gather everyone to say some greetings and prayers in Maori as well as take a group picture (a serious and a funny one) you can get it for free on their Facebook page a few days later! The night before the trail, make sure you pack all your hiking essentials because it will be a long but beautiful day. 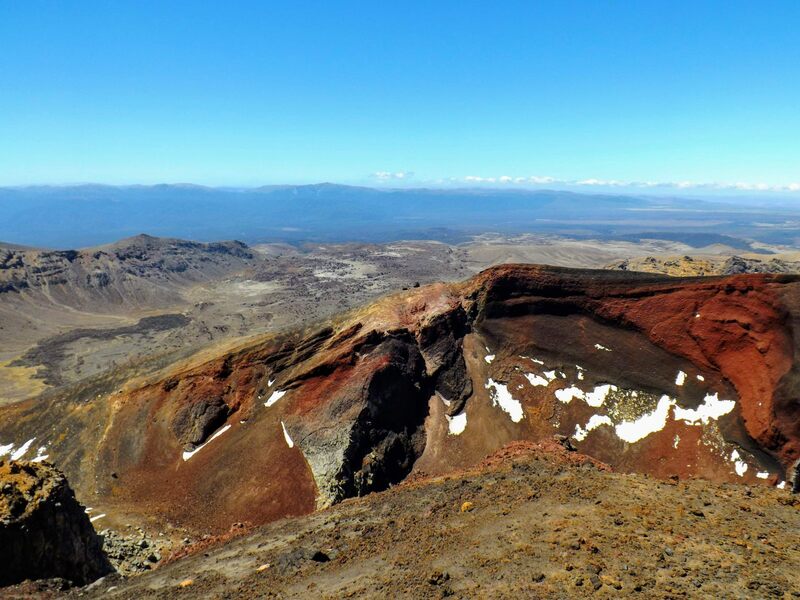 Viewpoint from Tongariro Alpine Crossing, Half-way through. 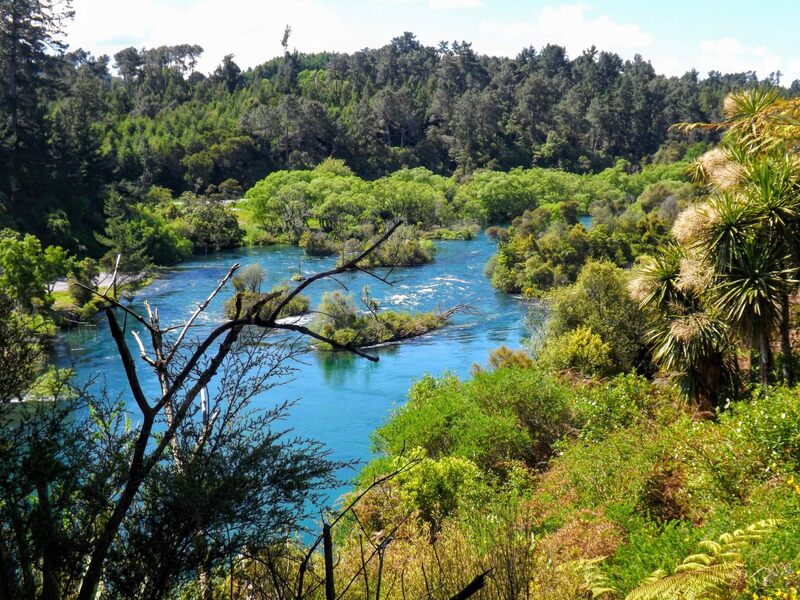 From Turangi to Bay of Islands, the drive up to Bay of Islands will take you the entire day. Start at 9:30AM to arrive around 7PM with a break for coffee (at Wild Beans careful if you order a large Black Americano it is actually going to wake you up and make you hyper for a while!!) and toilet around 11AM at Parau, then for lunch at 2PM in the town of Te Kawan (right after Huntly). 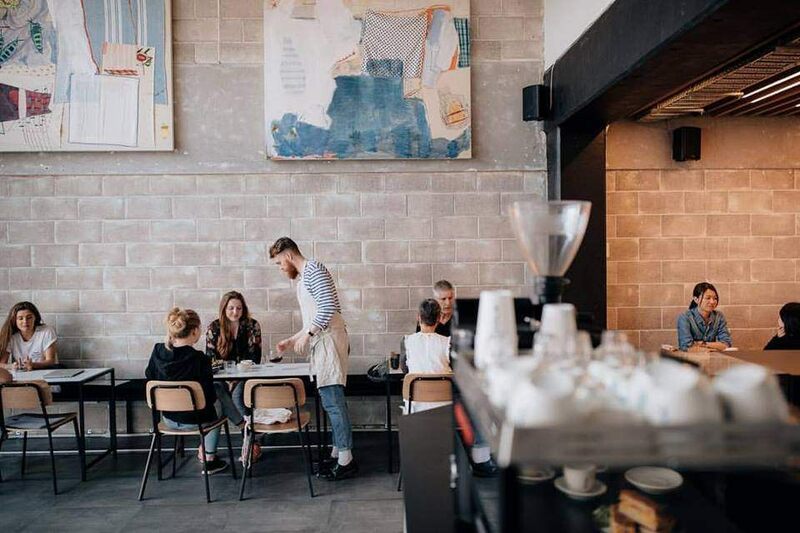 The only restaurant in town gets many choices of takeaway food or eat in. You can get a hot chicken and avocado panini for $4.5 and a sparkling water for $3.5. Note well: this may be your last chance to fill in your tank with gas before you get to Cape Reinga. There won’t be many if none last stations up north! Average petrol price there is $1.7 per liter. The more remote the fast station the more expensive the price. It can sometime gets up to $1.9 and down to $1.6. At Whangarei, go grocery shopping at Park n’ Save . Please note they charge for plastic bags $0.10 in case they ask if you want one…You will understand why they asked! Other grocery stores such as Countdown provide them free of charge! If you need to refill in beers & wine there will also be plenty of liquor stores in town. If you are looking for information about the area, there is also a I-site in town. Just follow the signs. 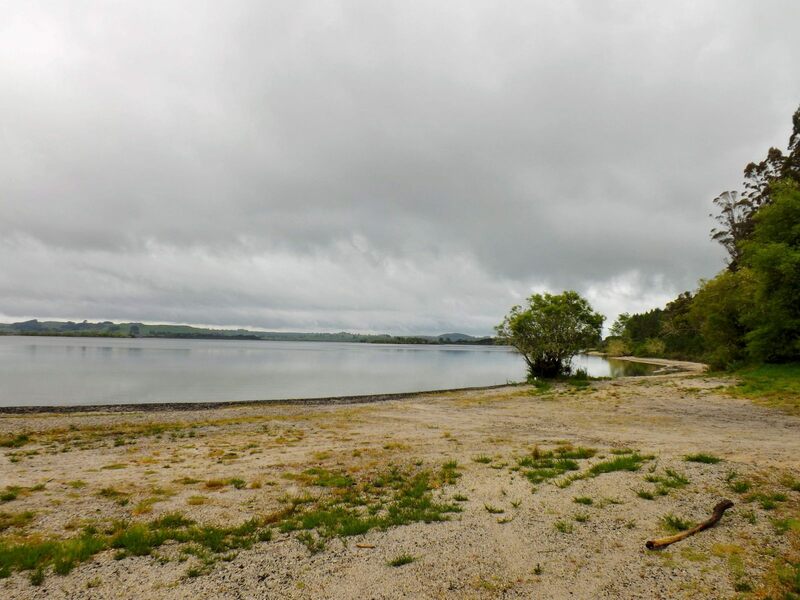 The great scenic campsite to be staying at is Otamure Bay , 27kms from Whangarei, on the beach. 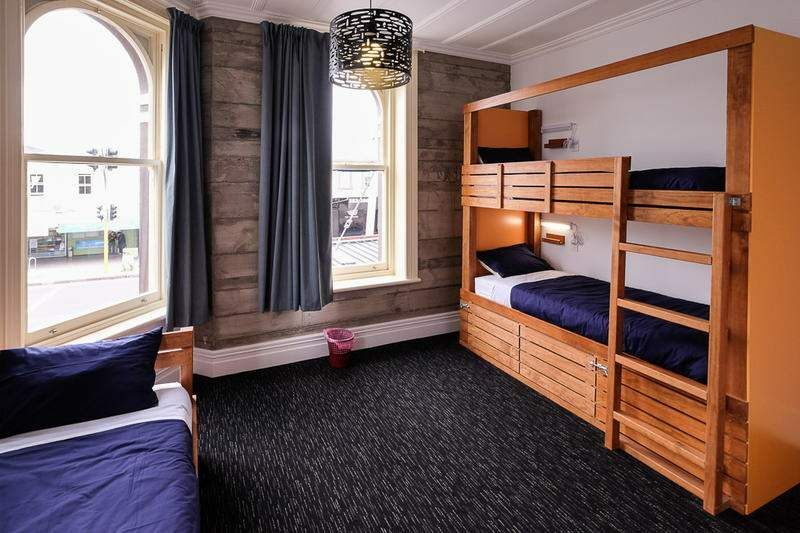 It costs $13 per person per night plus $2 for recycling rubbish bag. You can park anywhere on the campsite. They have a beautiful remote beach where the sunset and sunrise are breathtaking. They also have cold showers and toilets and access for boats. After the cruise, if you are looking for a campsite, Paihia is quite touristy (station balneaire in english) so you may only encounter Holiday Park to camp for about $20. Surely it has hot shower, great view on the bay and unlimited wifi but if you are looking for a cheaper option you may need to drive a little bit further out. We found a great spot with the nicest owner just a few minutes away, in Haruru Falls. The camping also motel is called Falls Motel & Campground . For $20 per person per night you get to camp right by the waterfalls, you can also rent canoe for $10, you also have kitchen facilities (gas cooker, boiler, microwave), washing machines & dryers, power points, hot showers and unlimited wifi all included in that price. 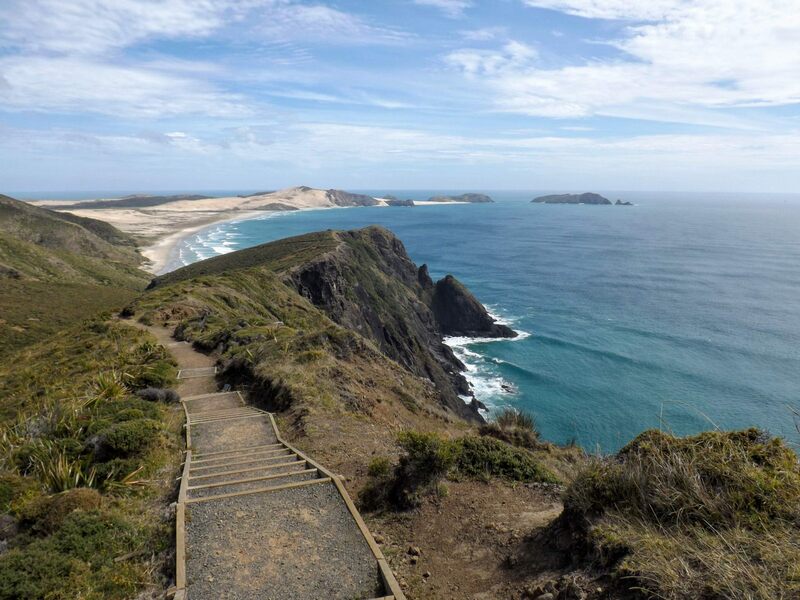 We also recommend this campsite if you aim to drive up to Cape Reinga the next day as it is located right on the road that leads to it! Peter is very nice and if you also are very kind he will make sure to give you the best spot on the campground! 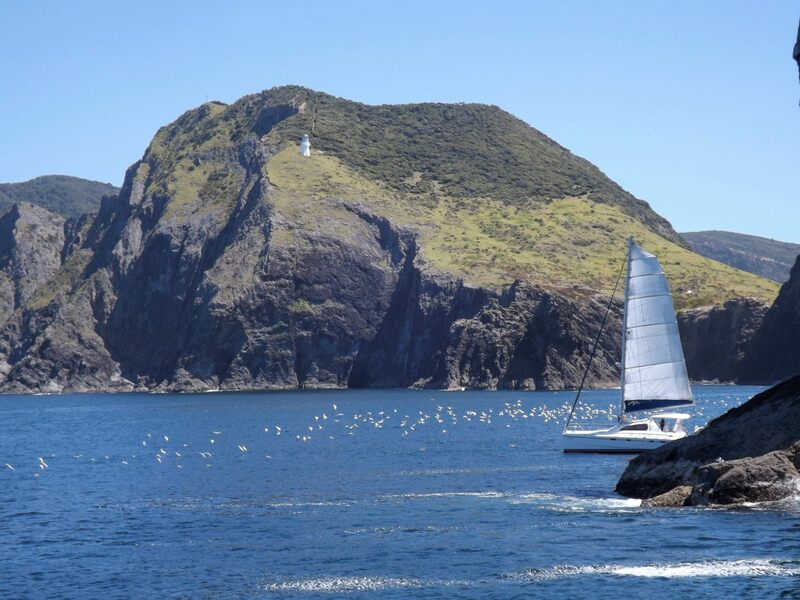 From Paihia to Cape Reinga, it's about 3 hours drive along the coastline. Stop halfway for lunch by the bay. There are lots of parking with a view, picnic tables and toilets. We tried for you the one in Pukenui a great spot - one hour before Cape Reinga. 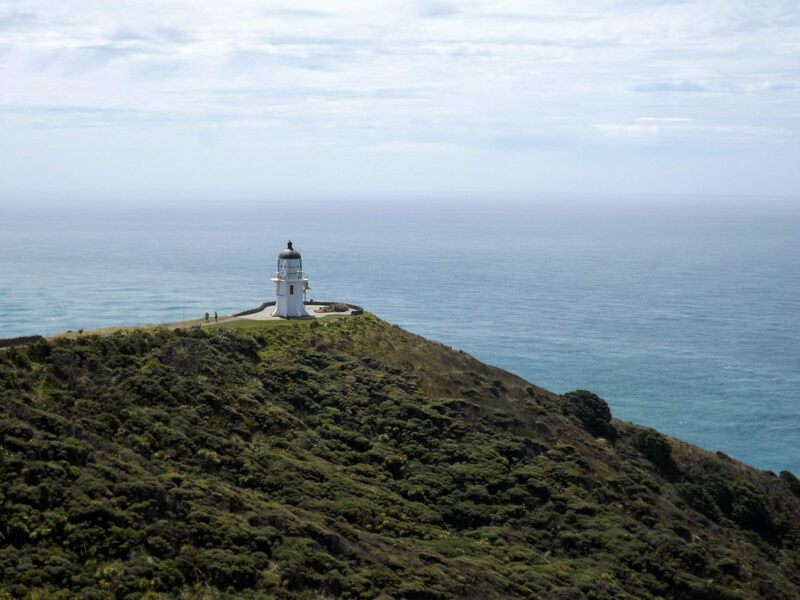 Once you arrive in Cape Reinga (you may stop a few times on the road just to capture some great shots because yes the view is insane! 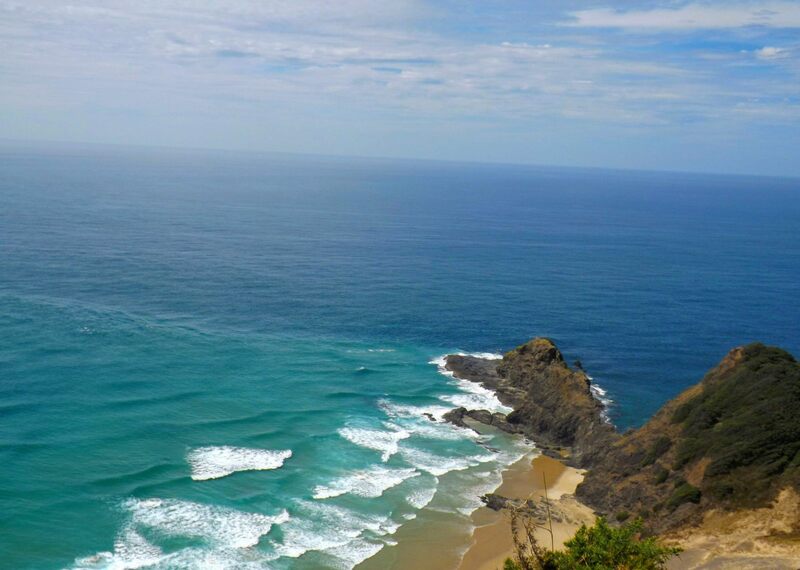 ), walk towards the lighthouse for a magnificent view on the ocean, what am I saying 2 oceans! 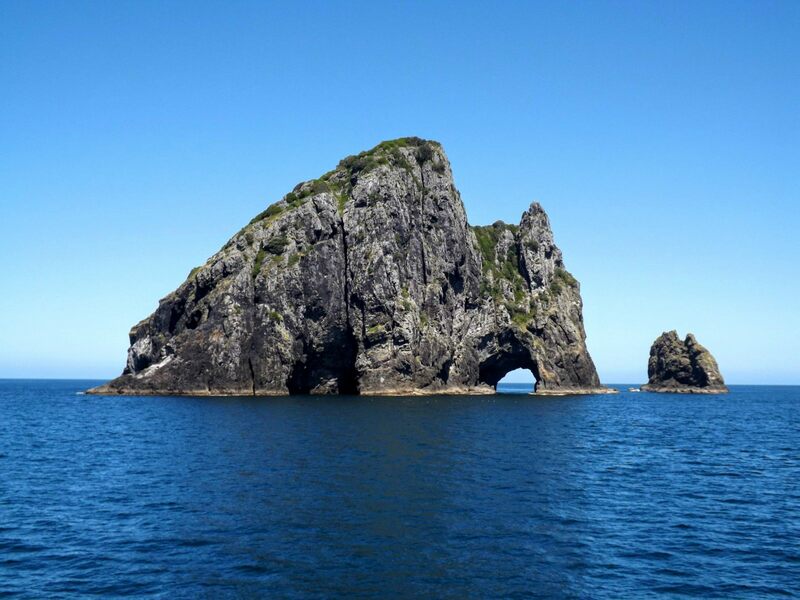 This is the most northern part of NZ where the Tasmanian Sea (female) meets the Pacific Ocean (male). Incredible show you could be staring the whole day. We recommend you do the 2km walking trail starting from the lighthouse going down to the beach (45min one way). 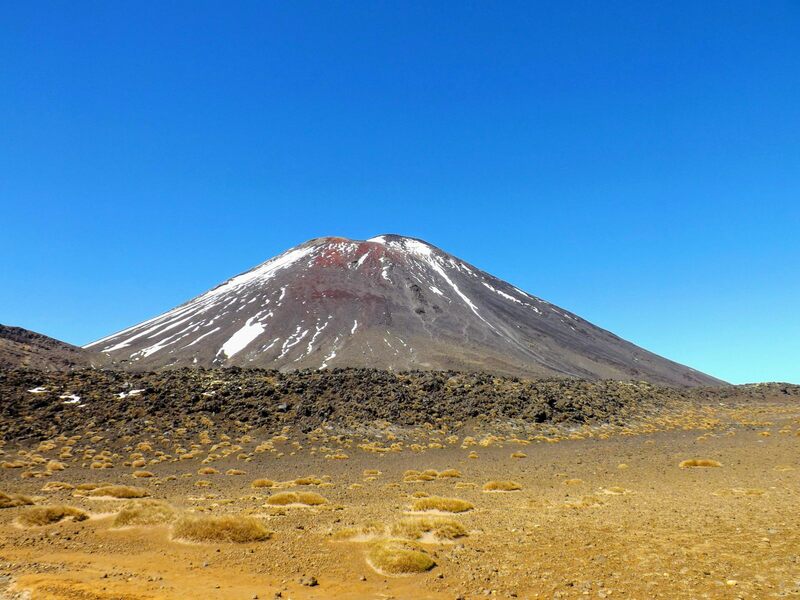 The Tapotupotu DOC campsite is located few minutes away from the lighthouse. It is a standard campsite of 45 places $8. We advise not to arrive too late as it is quite a famous spot. Firstly because located right on the beach, great spots for surfers and also because there is not much other choices of accommodation in the area! Mike Webb is the duty manager and the owner of the winery. With his wife and dog they opened the winery in 1996. He calls himself a citizen of the world although born in the US. His passions besides wine is cycling and sailing around the world. He is very kind and will tell you everything about his travels as well as what to see in Oceania - Fiji, New Caledonia, Tasmania…Anything to make you even want to spend more time on the continent! He spends his days at the winery or fishing and hunting in the area. His winery is open from 10am to 5 pm and located on SH10 before Paihia. Mike will make you try any wine you want - starting from white then red and the icing on the cake the port (uniqueness of NZ). Trust me you will end up buying more than one bottle. Because if you compare his wine to grocery wine in NZ…wait no it is not comparable! From Paihia to Auckland is quite a ride, it could take 3 to 5 hours depending on weather conditions and roads. 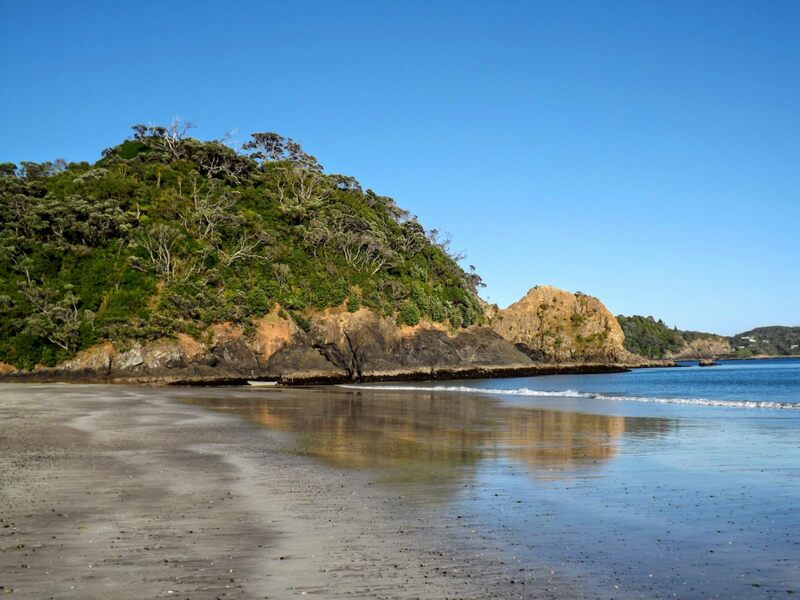 If you need to be in Auckland the next day - we advise you stop halfway at the DOC campsite Uretiti Beach . 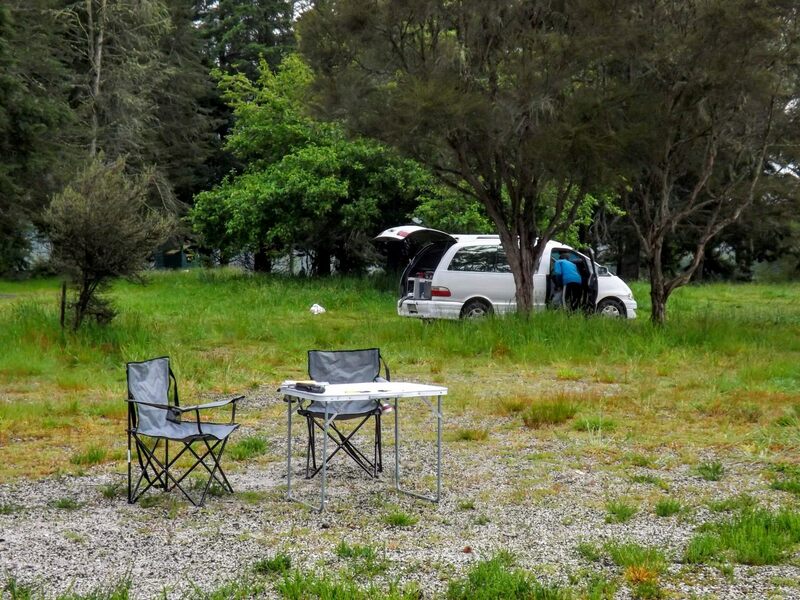 It is a scenic campsite ($13 per person per night with cold shower, toilets, recycling rubbish bag for purchase at $2). You can park anywhere, near the beach is a great spot - especially if you wish to crack some beers, eat some snacks and play cards in the evening watching the beautiful sunset!